After making Samsung Galaxy S7 and S7 Edge official, the next big task ahead of Samsung is to convince buyers that Samsung Galaxy Note 6 is what they need to buy. Of course, this won’t be an easy task for Samsung. But, given the relative success the flagship handsets have seen since their launch date, there is still reason to believe that enthusiasts of size will want to get a new taste courtesy of the Note 6. While the rumors regarding the features, specs and release date of Samsung Galaxy Note 6 gather pace, the South Korean seems to be very busy in the other end of the market. Recent days have seen quite a number of low and mid-range devices launched by the company and with some of these devices coming in with compelling specs and even larger displays than what is typical of the Galaxy Note series, trouble seems to be looming for the next Samsung flagship phablet. As the obsession with size continues, Samsung has remained mum on whether the Galaxy Note 6 will see an increment in size or not. However, rumors are rife that the company will look to significantly differentiate the display size of the Galaxy S7 Edge and that of the Note 6. Samsung has not said anything regarding the release date of this device, but reports point to August or September, just in time for the Galaxy Note 5 to celebrate its first anniversary. If size is all that drives you to the Galaxy Note 6, there might be something else that might interest you. As mentioned, Samsung has been busy in the market, rolling out newer devices targeting the developing world. These include Samsung Galaxy A9 Pro, Galaxy A9, Galaxy A7 (2016), Galaxy A5 (2016) as well as Galaxy A3 (2016). There is also another series of Samsung Galaxy J7 (2016), Galaxy J5 (2016) and Galaxy J3 (2016), among many others. Some of these devices come in at decent prices, yet on board, they carry very capable hardware. With the rumored Samsung Galaxy Note 6 expected to pack a 5.8-inch Super AMOLED QHD display with a resolution of 2560 by 1440 pixels, there is a serious competitor in Samsung Galaxy A9 Pro, for instance, which has a 6-inch Full HD Super AMOLED display with a resolution of 1920 by 1080 pixels. To the naked eye, it is hard to take note of the differences in display here, but of course, the Note 6’s is a lot sharper than what the A9 Pro’s offering. Under the hood rumors claim that Samsung Galaxy Note 6 will pack the latest Snapdragon 820, a RAM of 6GB and a storage of 32GB (which can be expanded) and a 12MP snapper on the rear. In comparison, the Galaxy A9 Pro comes with a Snapdragon 652 SoC and a RAM of 4GB as well as 32GB of expandable storage. The Galaxy A9 Pro packs a massive battery unit of 5000mAh, has a rear camera of 16MP (the front has an 8MP sensor) and also includes a fingerprint sensor, among other current standards. Pricing is actually where things get interesting. 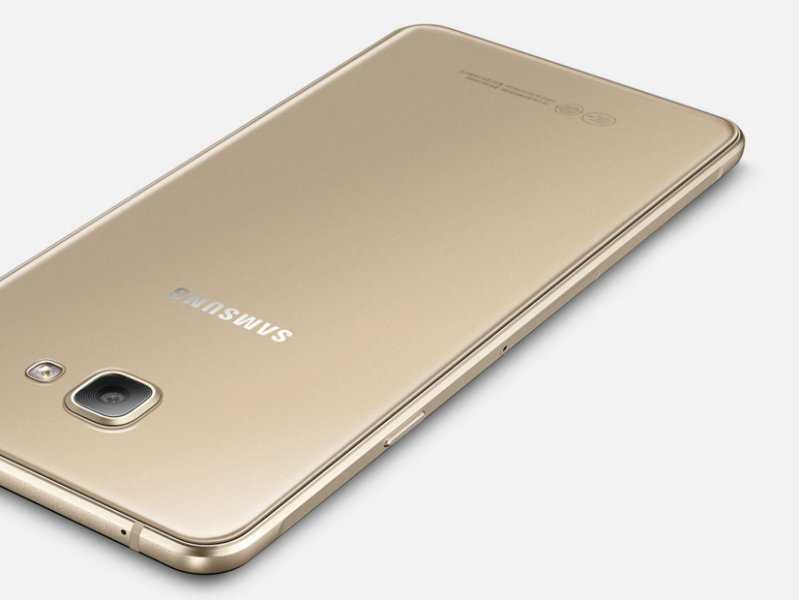 Samsung Galaxy A9 Pro is priced at $540 and while the price of Samsung Galaxy Note 6 is not known yet, don’t expect anything less than $700.